Is the U.S. ready to elect a president whose religion has become such an issue? 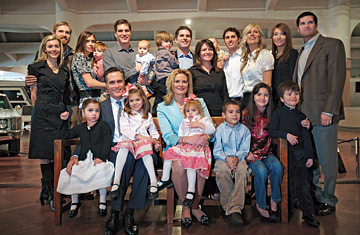 Romney and his wife Ann, seated at center, have five sons and ten grandchildren. When they wed in 1969, her family could not attend the temple wedding because only Mormons were allowed.